Dan Gosling to sign for the Toon soon? Words by Kevin Doocey on July 13, 2010 . We feared the worst when we were told that very little, if no money would be spent on Tyneside this summer to boost the Coca Cola Championship winning squad. However, nearly a fortnight into the transfer window, we’ve one player already signed for a rumoured fee of £1.5 - 2m and another promising youngster by the name of Dan Gosling seemingly set to wear the Black and White jersey of Newcastle United this season. So far so good you might say. Now don’t get me wrong, we haven’t officially completed the signing of Gosling yet but it’s widely expected that he’ll be confirmed in the next week or so, pending an appeal from Everton about Gosling leaving the club unlawfully. It’s believed that Gosling has held talks twice with Newcastle and the lure of some playing time sealed the midfielder’s decision. West Ham, and a couple of other teams including Sunderland were also vying for his signature but it’s strongly reported that he has indeed chosen Chris Hughton’s side. One of the best things about this signing, if and when it is finally completed is that it’s free. Gosling is rated around the £3m mark minimum and to get this player for zilch is always a bonus. It’s believed Everton ad David Moyes are fuming at Gosling fir wanting to leave Goodison Park and by the way he has gone about it. We really do need more signings and a striker, a forward with pace and flair - just not Michael Owen. Andrei Cristea of Dinamo Bucharest has been linked but he wouldn’t be very high up my shopping list, that’s for sure. You’ll notice that Giovani dos Santos who I dedicated an article to, outlining him as a very good potential target for Newcastle United, was listed in the top three Young Players Of The World Cup, inevitably losing out to Thomas Muller who had a fantastic tournament for 20 years of age, Bloemfontein, Germany 4-1 England anyone? He scored twice in that game. Anyway, we do expect some more transfer activity around Newcastle, although it might not be much as the lads are in Ireland for their pre-season training camp. Tyne Time paid a visit to the lads at Carlton House and took a few snaps to see what progress the players were making. We shall post them very soon. 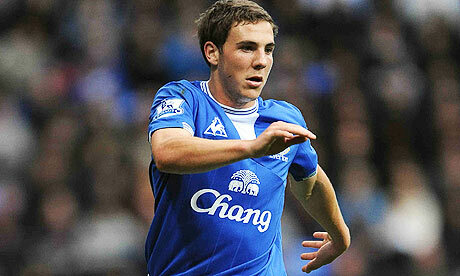 If we can get Dan Gosling, it’s a job well done by Chris Hughton and co. I agree we do need another striker and Dos Santos would be a great signing. We honestly can&#39;t depend on Ameobi, Lovenkrands, Carrol to get at least 15-20 goals between them to keep us up, it isn&#39;t the Championship and their quality will be matched by experienced Premier League defenders. Overall, I don&#39;t care who we get but a striker is a MUST. And it must be a striker who&#39;s at a decent height and is pacy. Gervinho plays for lillie in france and was electric for ivory coast in the WC plays upfront/right wing, very pacey and grt shot on him. Daniel Sturridge from Chelsea on loan or id put serios resources into trying to persuade Steven Ireland to come to NUFC he could play as a second striker behind carroll get bags of goals and could play CM too a great. If Evertons appeal fails then watch other clubs come in for Gosling and try and turn his head. think hes already signed on the dotted line mate . Obviously you can&#39;t rely on his word so there&#39;s every chance that he might decide to for another offer! !